The Love Rising Academy provides New Quantum based teachings, tools and practices that stands for the liberation of humanity, with a special focus on the leadership of Women in this Era of Global and Universal Change. Our fullest potential and greatest transformation is accessed through the self healing journey. The School offers effective self healing skills, classes and experiences that are freeing and evolutionary. We provide timeless teachings and practices that are rooted in love and compassion, igniting pathways to discovering your authentic truth. It is through the presence of Divine Love -- The power that Heals ALL things -- that the world will know its freedom. Now more then ever, we need feminine healers and teachers to lead our communities back to a harmonic that works for collective peace & unity. 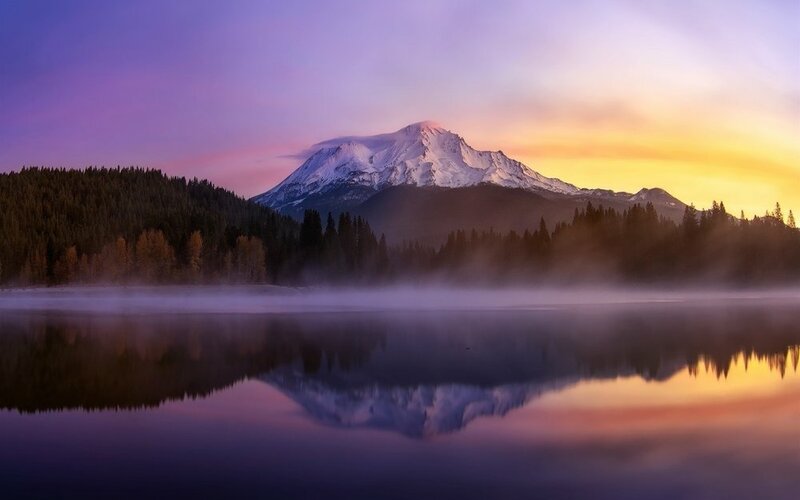 Join us in Mount Shasta, for a remarkable 7 day retreat to empower feminine leadership, clarify your vision, and learn how to use effective self-healing skills. Be embraced by the magical vibration of Mount Shasta, California known to Gaia’s Shamans as the Crown Chakra of Earth. At the top of Mount Shasta emanates the energies of the Eighth Chakra, which merges the Crown with the Root, the place where “Heaven meets Earth”. Many venture to Mt. Shasta to experience connection with the 5th Dimensional energies of Ancient Lumeria and the Inner Earth City of Light, Telos (part of the Agartha network). Mount Shasta is a energetic access point on the planet to “All That Is” and connection with your higher self. It is a place where you are bathed in knowingness and powerfully nurtured by divine support. The “I AM” presence. It delivers the realization and frequency of Oneness and your connection to everything. This retreat is a finely tuned and cared for container that is crafted for you to enter deep into yourself. You will be held within a sacred and supportive community as you learn The Liberation™ Practices and Healing Method. These practices allows us to uncap the vibrational inhibitors in life so we may glide effortlessly on our highest trajectory path of Love and Joy! It's called The Liberation because this is the deep work we do to shift the energetic-vibration of your life. If you have been doing spiritual and self development work for a long time but are still experiencing roadblocks to your dreams, The Liberation practices are often the missing link. Our Quantum and Practical exercises hone into the hidden emotional, mental and physical blocks to get the chains off you embodying your fullest joy and abundance. The Liberation Practices - To empower your voice, confidence and purpose. Delicious, high vibe, vegetarian meals to support nutrition and detoxing. Accomodation in beautiful retreat center. Group sessions to Bust through those blocks! 1-1 private energy healing sessions with Shambala healing practitioner. Sacred Site Activations and Guided Tours on Mount Shasta. Water Purification Ceremony at Medicine Lake. Access to an optional luxuriating soak in mineral healing water (spa). Enlightening teachings and practical exercises you can take home. Days for Dancing, Singing, and Playing outdoors. A Chance to unwind and return to Earth Mother. A fun and celebratory event, connecting with like hearts and minds. No Shortage of time and space to just BE with your experience. This is a magical event not to miss that will increase your life quality completely!! She is a potent Change Agent, Women's Wellness coach, and teaches Frequential Energy Medicine. She facilitates deeply transformative retreat experiences, 1-1 sessions, and mentors individuals, teachers, coaches and healers. Her healing methodology is extremely effective in releasing trauma, stuck emotional energy, and other sources of chronic pain, stress & anxiety from the body.